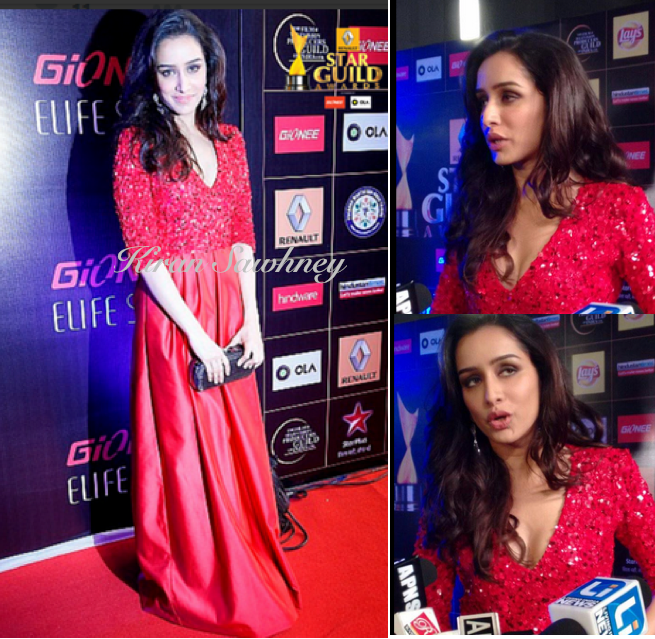 Shraddha picked a red Atsu gown for her red carpet appearance. 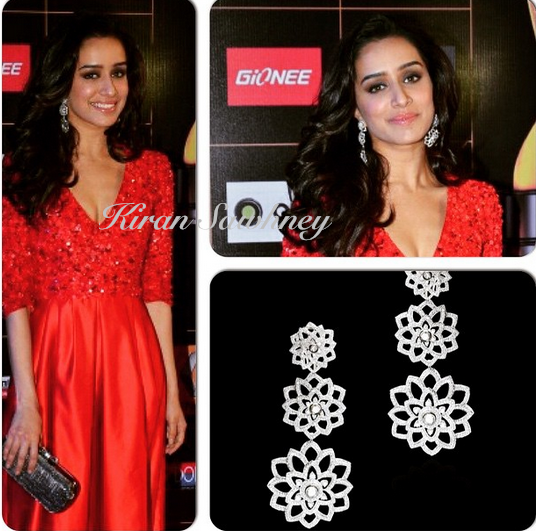 She teamed it with jewelry from Gehna. She carried a blue black clutch with it. She looked lovely.